Christian boarding schools in Texas. Free help finding the best Christian boarding school in San Antonio, Texas. – best boarding schools and residential schools. Agape is a Christian Boarding School that Can Help Your Boy, Even Though It is not in San Antonio, Texas. While you search for a Christian boarding school in San Antonio, Texas for your teenage son, would you also consider a program in another place that is affordable, and has helped struggling teen boys to change the course of their lives for more than 21 years? Located in the center of the country, Agape Boarding School accepts at-risk boys from all over the U.S. We are also certified to enroll international students. A number of boys typically come to our Christian boarding school from California, Texas, New England, Illinois and Florida, and especially San Antonio, Texas. Most of the boys who come to Agape are exhibiting behavior problems including rebelliousness, lying, lack of motivation in academics, associating with the wrong peer group, anger, ADHD, trying out drugs or alcohol, or otherwise choosing the wrong path in life that could lead to serious problems if it were to continue. Even though our main focus is on dealing with inappropriate behavior and mentoring these boys, as a Christian boarding school, we also provide an accredited education, competitive sports and a variety of daily activities — all at a very cost-effective price. Agape helps teenage boys become respectful, disciplined and educated young men. Real change comes from our emphasis on the power of God to change lives. And our structured environment away from their peers helps the boys learn positive new patterns and habits for living. teens who come to the Agape Christian boarding school have an opportunity to catch up and complete their high school education and prepare for college. 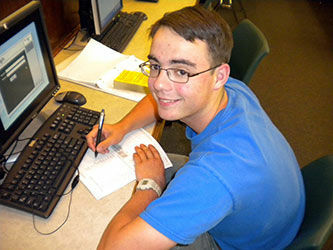 Boys complete an accredited curriculum to earn high school graduation. Boys also receive training in a variety of vocational skills at Agape, including automotive repair, painting, electrical, tiling, laying carpet, cement work, construction, landscaping, welding, and more. Residents are well-prepared for college or success in initial jobs in the workforce, having learned these skills, as well as the self-discipline that will serve them for the rest of their lives. Residents also enjoy daily activities and athletic programs. The campus includes a full-size gymnasium and well-equipped indoor recreation center; baseball, football, and soccer fields and a volleyball court and boxing arena; a fishing pond and a small lake; horse barns and an outdoor riding arena; and an in-ground swimming pool, among other facilities. The land also is home to an abundance of exotic animals, from alpacas to zebras. Though not located in San Antonio, Texas, Agape Christian Boarding School Enrolls and Helps Boys from Around the Country, Including San Antonio, Texas. Many teen boys from San Antonio, Texas have turned their lives around with the assistance of Agape Boarding School and anticipate a promising future. Please think about looking beyond San Antonio, Texas to this successful and reasonably priced Christian boarding school for boys with behavioral and academic difficulties. Excerpt about Christian boarding schools in San Antonio, Texas, used with permission from Wikipedia. Christian boarding schools in Texas. Free help finding the best Christian boarding school in San Antonio, Texas.